I just finished listening to the most wonderful book I have had in a while. 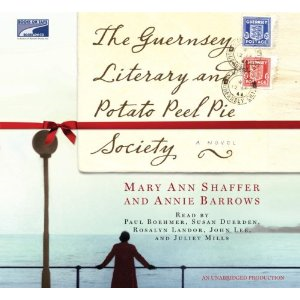 The Guernsey Literary and Potato Peel Pie Society is as interesting and delightful as itâ€™s title leads one to believe! I loved every minute.. even when I realized my iPod was on shuffle it didnâ€™t really matter. I was able to follow the story, as it is all in the form of letters, and other correspondence between the characters! Set just after the end of WWII in London England, the story tells the tale of an unlikely group of people who form a literary society amidst the war. Juliette, an author who lives in London, receives a letter from Darby, on the Island of Guernsey. He had found her name inside a book he had bought after the war,and a simple letter of inquiry about the book and itâ€™s author quickly turns into a flurry of correspondence from himself and others of the Literary and Potato Peel Pie Society and Juliette. After all who wouldnâ€™t want to know more about such an oddly named group? I liked it so much I want to give you a chance to have a listen too! So please leave a comment letting me know what great books on tape or regular books you have read lately if you would like to win the audio CD set of this book. I will draw a name on Sunday afternoon! 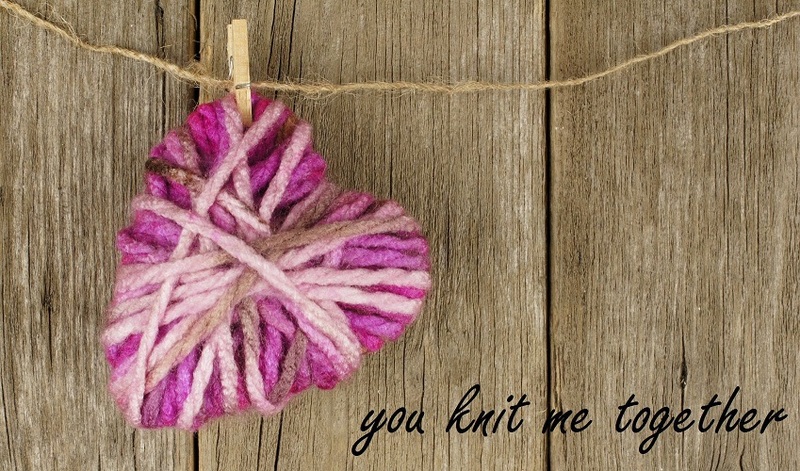 Please be sure to leave an email where I can get in touch with you if you should win! Disclaimer: A copy of the CD set was provided by the publisher. I’m not here to win anything, I just wanted to share a book I just read. Letters to God was great. Don’t listen to it without a big box of tissues. The movie was out first but I never heard of it. The DVD is out August 11th I think, for sale. I will watch it but the book has more. The book keep tears flowing down my face but I still loved the story. A good book I read last year was Glenn Becks Christmas sweater. I was very surprised that this was by Glenn Beck. It is a great book for pre-teens and teens to read also. It is about material things and gifts for Christmas. When I get time, I like to read any books by John Grisham and Stephen King. But the books here lately are children books. Maybe in September while the kids are in school, I will be able to pick up a book just for me. I like the look of your web site. If you haven’t already given the book away, please consider me as an entrant. I can’t read at the moment–waiting to get in for a pain block–and this audio book sound like a winner. I wanna win!!!!!! I need a new audiobook to listen to….. pick meeeeeeeeeeeee!!!!!!! !